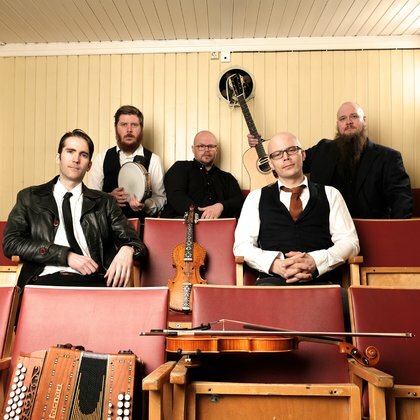 Self-proclaimed Scandinavian party musicians and purveyors of epic folk, Sver playfully combine traditions from Norway and Sweden with infectious energy and impressive skill. 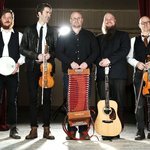 Pitting viola and Hardanger fiddle against accordion, guitar and percussion to create an acoustic folk-rock capable of inciting massed dancing outbreaks. 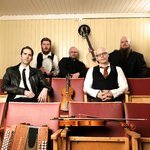 The band started life as a Norwegian trio in 2006, when Olav L. Mjelva, Leif Ingvar Ranøien and Vidar Berge began experimenting with arrangements of fiddle tunes from their home-town of Røros to incorporate guitar and accordion. In 2008 the trio invited two renowned Swedes, Anders Hall and Jens Linell, on percussion, creating the quintet that has been inciting audiences throughout Scandinavia, Europe and the US ever since. 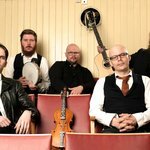 On the side, they've been scoring chart successes with their collaborations with Swedish dance-hall artist Snakka San, inventing a new genre, Folkhall.